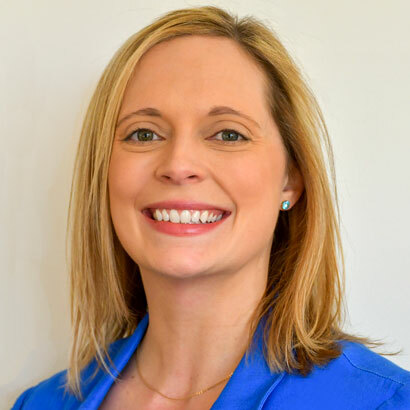 Rhyan Schaub, Director of Revenue Operations & Electronic Fares at TriMet, explains how the use of an open application programming interface opened the door to limitless opportunity in fare collection, mobility choice and integration. 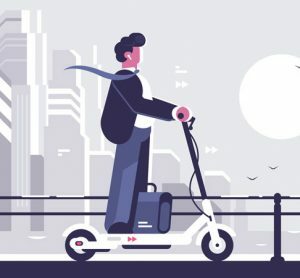 Imagine a community connected by smart, on-demand mobility and seamless integration across multiple modes of transportation; with one safe, secure and convenient payment system; where travel by bus, commuter rail and light rail extends to bike- and car-sharing, ride-hailing, toll paying and even parking. 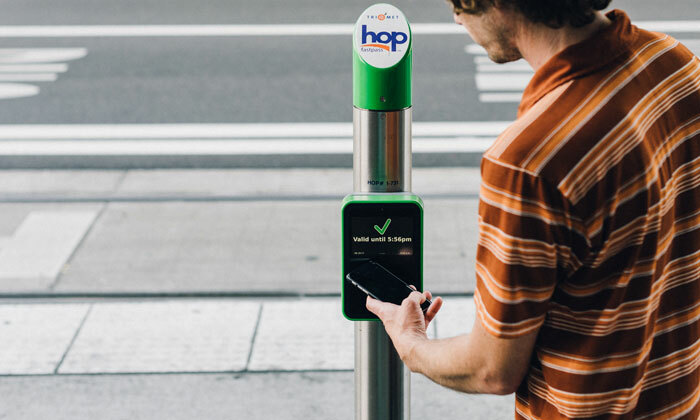 It’s a future that’s coming into focus in Portland, Oregon, where the region’s public transit agency, TriMet, is pioneering the world’s first open architecture electronic fare collection system. For TriMet, fare collection represents the starting point: the creation of opportunity, through application programming interface (API) utilisation, to one day bridge the divide between public transit, transportation network companies and the autonomous vehicles of the future. As the use of transportation evolves, TriMet is looking to elevate its relevance both regionally and globally. Having established open architecture as a portal, through the delivery of Hop Fastpass, has enabled us to realise this potential. Hop Fastpass is a state-of-the-art, regional fare collection system, based on contactless smart-card technology. From the outset, it was TriMet’s vision to build an innovative, best-in-class fare system that reduced costs and maintenance associated with collecting cash. In selecting an open architecture design, TriMet moved toward a future-proof system, fostered competition and created an environment that allows the agency to be nimble in its partnerships, vendor selection, future growth and integration. For the customer, the system simplified and improved the transit experience, reduced or eliminated the need for cash, established a secure and convenient payment platform and provided cost savings and other benefits. Broadly, open architecture refers to the clearly defined, non-proprietary communication paths that various parts of a computer system use to integrate with the back-end. It can be thought of as a surge protector for technology development – with a power centre (or core) and outlets to plug in high-quality components, creating an optimal experience. For TriMet, an established global leader in transit and technology innovation, an open architecture for Hop was paramount. The platform fostered the seamless integration of third party vendors and the best-in-class of their field, expertise or genre. TriMet selected INIT, a global supplier of IT solutions for public transportation, to build the systems and application programming interfaces for the Hop system. It collaborated with moovel North America to develop mobile apps for account management and fare inspection, and selected Ready Credit Corporation (RCC) to integrate with multiple retail networks offering hundreds of diverse retail locations for TriMet patrons to buy cards and easily load and reload transit value. RCC is also supporting partnerships with web developers to create and manage the website. 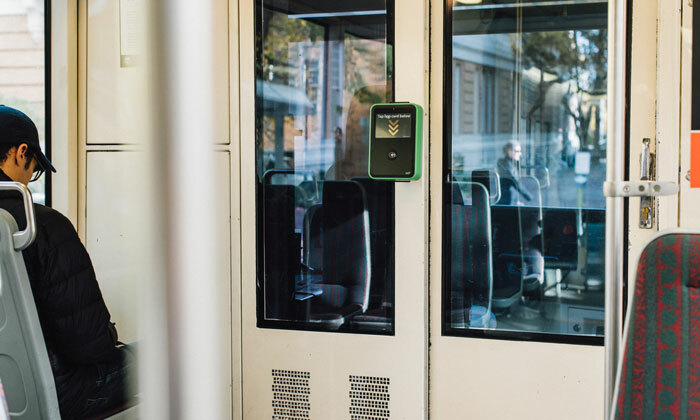 The open source infrastructure enabled the agency to continue building on its relationship with ticket vending machine provider, Scheidt & Bachmann, which, in 2018, will embark on another industry first: a Scheidt & Bachmann hardware integration with an INIT backend. TriMet also selected INIT to provide Hop validators, of which there are more than 1,200 system-wide. The open architecture foundation allowed for communication between any hardware component and Hop. Use of a public API expanded TriMet’s Hop system for development as both a regional and multimodal transportation tool. It was designed to operate seamlessly across TriMet’s bus, light rail and commuter rail platforms, as well as with C-TRAN bus and bus rapid transit service. Whereas TriMet serves the tri-county metropolitan area of greater Portland, Oregon, C-TRAN is the primary transit provider in the neighbouring city of Vancouver, Washington and offers commuter routes into downtown Portland. Hop also integrates with the city of Portland’s streetcar network. 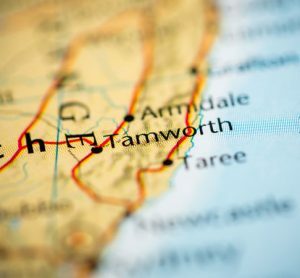 It offers seamless transfers throughout the region. If a rider moves from a mode with lower fares to a mode with higher fares, a tap of a Hop card deducts only the difference. Riders tap but pay no more if their transfer takes them from a mode with higher fares to one with a lower fare. 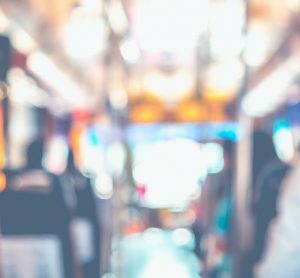 Hop’s account-based, real-time payment system has allowed regional transit agencies to offer a wide range of benefits, with convenience and cost savings at the forefront. Through the optimisation of Hop’s open payment, open architecture system, TriMet embarked on another industry-leading feature – fare capping. Hop Fastpass users earn day and month passes as they ride. Fare capping introduces an equity-based incentive for frequent transit use. It eliminates the upfront and burdensome cost of purchasing day and month passes, replacing it with smart, hassle-free, pay-as-you-go infrastructure. Another advantage of Hop’s open APIs is the ability to integrate NXP MiFARE contactless IC products. Its smaller, secure-memory footprint provides the system with contactless smart-card technology capable of near real-time transactions in a cloud architecture. The result is a fast, secure, more convenient way for riders to board and pay fares. For operations, the operator’s responsibilities are simplified and fare collection is more efficient. The resulting faster boarding process decreased dwell time, contributing to a more reliable transit system that benefits the entire region. NXP transfers information seamlessly across the cloud architecture from the Hop card to the back-end database. Since value is not stored on the card itself, Hop offers an additional layer of security. An account holder whose card is lost or stolen can contact customer service to freeze value and then transfer it to a new card at a later time. A few months after the Hop card’s official launch, TriMet unveiled another advancement. 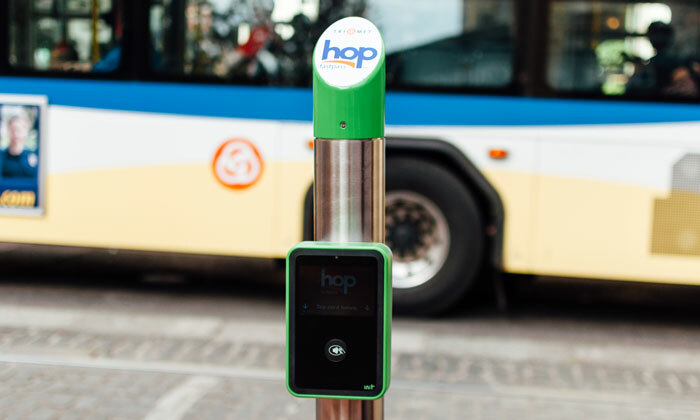 Riders could now use open loop, contactless technology to purchase fares at the Hop system’s validators – all of which are equipped with near-field communications. The development expanded accessibility by reducing reliance on a physical card. Riders gained the option to use a wide variety of open loop contactless payment cards or wallets, such as Visa, MasterCard, Amex, Discover, Apple Pay, Google Pay and Samsung Pay. Considered a convenient way for less frequent riders to pay for transit, its use quickly exceeded TriMet’s expectations, ranging between two and four per cent of system revenue monthly – the highest reported adoption of open payments in the U.S.
With increasing reliance on smartphone technology, a virtual card was the logical next step. TriMet worked with Google Pay to add support for closed loop transit cards within the Google Pay platform. The collaboration led to the development of a virtual transit card that can be saved in the Google Pay application and used to pay by simply holding the phone on the reader. To purchase and activate a virtual card with Google Pay, a user first downloads the Hop Fastpass mobile app from the Google Play store and selects the option to create a virtual card. As part of this process, the user designates a fare category – Adult, Honored Citizen or Youth. As with physical Hop cards, the virtual media contains a unique identifier that maps to a stored-value account in our back office. When the user taps their phone and validates payment, the identifier is sent to the back office and value is deducted from the corresponding stored-value account in real time. Hop launched in Google Pay on 16 April 2018. In the first seven days after becoming publicly available, virtual cards were used by riders thousands of times in the same week. Sixty per cent of those purchases were made with Android smartphones. TriMet is exploring options with other wallet providers. With Hop’s open architecture blueprint established, TriMet advanced the concept of Mobility-as-a-Service. MaaS seeks the seamless integration of various transportation options into one, accessible on-demand resource. 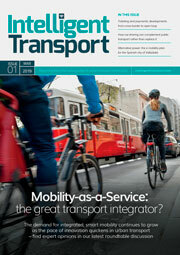 Its purpose is to streamline options, optimise routes and provide better value. The result is convenient, sustainable transportation, diminished reliance on personal vehicle ownership and reduced traffic congestion. Hop’s application by three regional transit agencies, across two states and on multiple modes, laid the groundwork. This summer, TriMet expects to upgrade the locks on its Bike & Ride facilities enabling them to accept payments with Hop, thus eliminating the need for users to carry a second card for payment to a third-party vendor. Conversations are also initiated around expansion with Nike Biketown, Portland’s bike-sharing network. The idea is that one day soon, Hop will provide the vehicle to pursue all travel needs – incorporating not only transit, but transportation network companies Lyft and Uber, car-sharing services car2go and ReachNow and future generations of on-demand mobility. Because the system is easily adaptable, Hop could expand to transit agencies across the state, throughout the Northwest and beyond. Such a sophisticated system is highly desired throughout the transit industry due to its flexibility for both the customer and the agencies deciding on implementation. Recognising TriMet as an innovation leader in smartcard technology, the public transit system in Honolulu debuted its version of Hop, dubbed Holo, in late March 2018. It was modelled on TriMet’s design and was also created in partnership with INIT. TriMet’s vision is to do our part in making our community the best place to live in the country. Hop Fastpass is a gateway to that achievement. It creates a foundation for easy adoption and expansion to a multitude of transportation providers, positioning TriMet as a travel broker that keeps the region moving through a modern, world-class travel experience, seeded in innovation. Hop is more than a ticketing platform – it’s a connection among people, places and limitless possibilities. Rhyan Schaub is TriMet’s Director of Revenue Operations & Electronic Fares, operating the Hop Fastpass system; a bi-state, account-based, open architecture fare collection system accepting contactless smart cards, EMV bank cards and mobile wallets on over 1,200 card readers in Portland, OR and Vancouver, WA. Schaub also oversees agency payment processing, revenue collection and controls; TriMet’s ticket office; counting room; departmental budgets and contracts and maintenance of fare and radio communication. 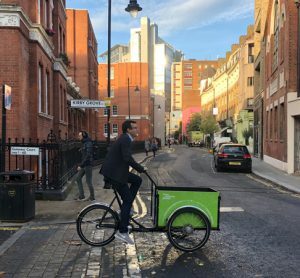 Examining risks and reviewing responsibilities: are e-scooters worth the hassle?